That the Twins are playing mediocre baseball here in the early portion of the season is disappointing, but not entirely surprising. We knew this was still a young club on the rise, not a bona fide contender. Slumps and downspells are to be expected. But it was the pitching staff that figured to take lumps. A lineup stacked with established hitters and solid depth seemed to be the least of Paul Molitor's worries. And yet, as the Twins have fallen back into a listless spell after being revived by a five-game winning streak, it is the bats that are lagging and languishing. For a time, scorching hot streaks from Eduardo Escobar and Eddie Rosario served to cover up for an offense that was just never really clicking. The Twins scored at least four runs in each of their first 11 games in May but never more than eight. We still haven't seen a double-digit run total all year. The anticipated explosiveness hasn't been there for this unit. A team that led the American League in scoring down the stretch last season entered play on Tuesday ranked 10th in runs/game and 12th in OPS. While the AL's prime contenders are doing their things – New York, Boston, Los Angeles and Cleveland rank first through fourth in R/G – the Twins offense has sputtered, showing only sporadic flashes of its dazzling upside. What's to be done? Well, to a large extent, all we can do is wait. If this group is gonna turn around it will be because Brian Dozier discovers his next gear, and Miguel Sano comes back to mash, and Joe Mauer finds some semblance of power, and Byron Buxton snaps out of his typical early-season funk, and Eddie Rosario settles into a sustainable approach at the plate. History tells us at least some of these things will happen. But as the Central continues to look eminently winnable, patience is starting to wear thin. At some point the Twins need to take action in an effort to jolt this offense awake. Here are a few options they could consider. Note that I'm not endorsing all of these solutions, only suggesting they should be on the table. The Twins pitching staff was in a freefall before Fernando Romero arrived on May 2nd and propelled the team to a shutout victory, snapping a losing streak and sparking a 7-1 run. Since then, the rotation and bullpen have both had a noticeably renewed swagger, and results have reflected it. It's not a simple cause-and-effect, but there is something to be said about the contagious energy that a talented and highly motivated young talent can infuse. Granted, Romero was in Triple-A and not Double-A, but the argument can easily be made that Gordon and Wade should've started in Rochester as well. At Chattanooga, 22-year-old shortstop Gordon entered play Tuesday slashing .350/.392/.526 while the 24-year-old outfielder Wade was at .300/.401/.442. Both prospects need to be added to the 40-man roster, complicating matters, but each offers something the Twins could really use. Gordon brings sneaky power from a wiry athletic frame and would represent a big upgrade over the scuffling Ehire Adrianza (whose play has arguably earned him a DFA). Wade is one of the most disciplined hitters in the system and has consistently been a .400 OBP guy in the minors. These are the two most MLB-ready hitting prospects in the high minors, and each has been making his case since spring training, where Gordon batted .417 and Wade had a .441 OBP. As much as Molitor – and all of us, really – would love to believe otherwise, it's clear that Buxton is not a naturally adept hitter who can quickly acclimate and get rolling at the plate. Not at this stage of his career anyway. Despite his tremendous finish in 2017, the center fielder once again came out of the gates flat this season. Then he had a bout with migraines. Then he broke his toe. Now, the Twins have curiously activated him directly from the disabled list, so he can try and play with a bum digit and a month's worth of rust. I guess we shouldn't be surprised by the outcome. Since returning, Buxton has been at his worst offensively, which is an exceedingly low bar. In five games, he is 2-for-16 with six strikeouts. The two hits, while both big, came in the form of a bloop double off the end of the bat and a bunt single that traveled five feet. Even with a bad toe, Buxton's defense is irreplaceable, and he's probably just as well trying to solve his hitting woes against MLB pitching. But if you're looking to quickly jump-start the lineup, there's no more obvious candidate for removal. He has been an almost automatic out. To replace him, you could call up Wade and shift Rosario or Max Kepler to center. Or you could call up Ryan LaMarre or Jake Cave or Zack Granite from Rochester as short-term plugs. Jason Castro underwent surgery on Tuesday and is expected to miss 4-for-6 weeks (or, as this team's estimations have gone, 8-to-12). Mitch Garver and Bobby Wilson don't present the kind of catcher duo that inspires huge confidence offensively. It is obviously slim pickings out there among the remaining free agents. Carlos Ruiz is 39 and put up a .665 OPS in 53 games with Seattle last year. He went unsigned during the offseason despite expressing an interest in continuing to play. If he's stayed in shape he might be worth a flier. Geovany Soto, 35, is also still out there. Neither of these guys are enticing options, and they'd also take time to ramp up, potentially pushing an arrival close to Castro's return. But it's no given that Castro will be able to come back strong; he's nine years older than a spry young Mauer whose rookie season at catcher was ruined by a torn knee meniscus. This is where the organization's lack of high-level catching depth is quickly becoming an issue, which isn't entire surprising. It wouldn't hurt to add someone capable, even if that means giving up a bit in trade. Considering that two-thirds of the league are in blatant tanking mode, it shouldn't be all that hard to find a seller. Get weird. Try Kepler in the leadoff spot. Move Dozier to cleanup. Escobar in the two-hole. Whatever. Perhaps a different type of sequencing or dynamic will stir something up. It couldn't really hurt at this point. I'd like to hear some other ideas. 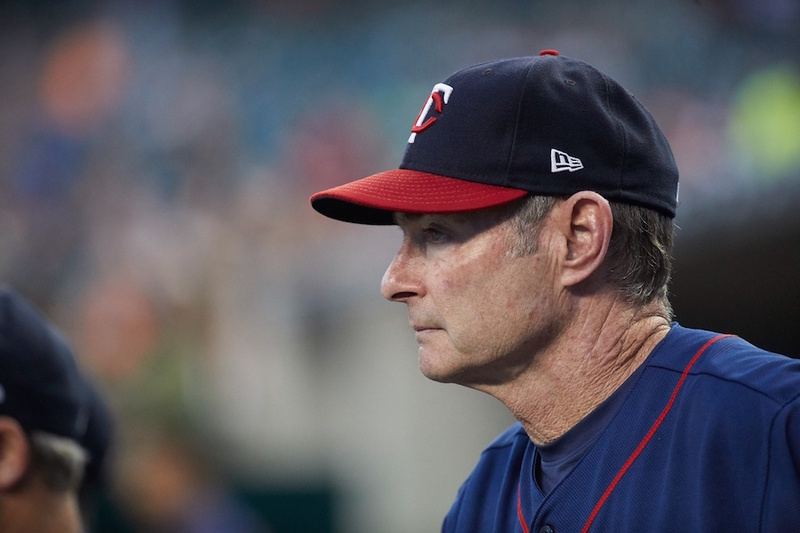 What would you do to inject life into a Twins offense that simply isn't getting it done? Meh. Fine ideas, but the best, and most realistic is to just let things play out. They're missing, or playing with an injured, 3 starters and contributors from last year. Buxton should not be sent down. His defense is too valuable, and he has already showed he can dominate the minors. I do agree with bringing up Gordon and Wade, but I don't think that will happen. Just let things play out. Everyone was ready for LoMo to go, but now he is swinging it better. The lineup will be fine come july. They are at 8-4 since the beginning of the White Sox series. In those games, they are 5-3 against .500 or better teams that either are or could be playoff contenders. It may not be the most fun way to watch our team win baseball games...it would be much more fun to watch them score 8 runs a game. But if they’ve won 5 of 8 against playoff contenders without their offense clicking I think that’s room for optimism if anything, because I too agree that things will get better offensively. Their starters have started pitching competitively and their bullpen has somehow managed to hang onto a lot of narrow leads. Let’s go twins! Wade: meh...who sits? I don’t think he helps much. Give up what it takes to acquire Realmuto. Or maybe Lucroy. Pray for a Sano storm. Isn't it obvious? The answer is...Bobby Wilson! I suggested this in the game thread: Time for Molitor to throw a bunch of bats into the showers. I'm all for the Nick Gordon plan. The lineup needs a spark. I've been saying forever that Buxton should be bunting for hits twice a game but after tonight I am wondering if I should reconsider. They were expecting bunt, he showed very early that he was going to bunt, it was a pretty bad bunt right back to the pitcher and he still beat the throw and caused the throw to be hurried and off mark. I am now thinking he should be bunting every time up. I am only partly kidding. Even when he is red hot he should be bunting more than he has been now when he is slumping but he should especially be bunting more now. Its just a great slump buster and he is not using it. Besides, I'm not saying bunting for base hits is the most exciting play in baseball. I'm saying BUXTON bunting for hits is the most exciting play in baseball. As far as swinging goes he looks too quick to me much like last year.What happened to the opposite field drill and other drills that helped him last year. Buxton getting on base ignites this offense. Fix him and there is a good chance the rest fall in line. Health is the solution. And not taking banned substances. Those two things would give our lineup Sano, Castro, Polanco, and a Buxton who isnt rusty. Thats a lot of improvement. Things are going OK the way things are now. It will just get better when everyone is back. This team needs to fix LoMo, Buxton, and Sano. Offense will be fine if that's the case. I'm wondering if optioning Buxton is the right answer. I know it's not popular given his defense, but the guy needs to learn how to hit. Sano needs to learn how to lay off the curve ball, and to be honest, he may need to be optioned too if he comes back from his injury and continues to strike out at a 40% rate. Again, not popular, as I cannot promise that the guys replacing them will out perform them, but probably best for both of these kids in the long term. Twins' crummy slumbering lumber is humbling but we're unencumbered by Tribe's bumbling bullpen. Do you want the team to get histoplasmosis? Because that's how you get histoplasmosis. I thought even from last year Buxton ought be laying down bunts...often. I was reminiscing that 3-0 lead against the Yankees in last year's one-time playoff thinking...man he could have bunted for a hit (and a 4-0 lead) instead of the whiff. With his speed, it would cause all kinds of problems for defenses and he'd end up with more hits when swinging away as well (because the corners would have to start playing in tight so ground balls would be getting through at a higher clip). I'm for Gordon getting the call and using Adrianza for defense late in games. The Twins really miss Polanco's offense. Adrianza is hitting .233/.296/.288. Gordon looks like he could be a league average hitter right now, which would be a huge improvement. The big issue is defense - can Gordon play well enough to be a net plus? Buxton needs to be on the field if he's healthy. The bats have been quiet but team defense has been just as poor by the metrics. I support Wade as the next callup if a starting OF goes on the DL. A catcher that can hit doesn't have to be a figment of the imagination. Ramos' contract is up at the end of the year. If they don't make a trade for him, sign him then. Castro would make a great backup in the final year of his contract. Or trade Castro then. Know any team that would pay him $8 mil a year? Now is a perfect time to add Nick Gordon, while Polanco is out. Never ever play Grossman in the field. In fact, he needs replaced. I don't know I see much of a problem, to be honest. As people have mentioned, they're winning ball games. They won last night 4-1 against a good St. Louis team. I like the idea of calling up Nick Gordon and having him play shortstop every day while Miguel Sano is out. Beyond that I don't know what to do. This team just needs Byron Buxton's defense too much, and he'll ultimately get his timing back and be fine (he always starts slow). Otherwise, the best way to fix the offense is to get guys healthy. This team is down three players from its starting roster and a fourth has a gimpy toe. Long term, they are short on RH bats. Garver helps, but what about a good DH who is a corner OF? Not sure they can ever count on Sano to hit the curve or stay healthy, so, perhaps RH 3B? Something has to be done to get a RH power guy. But, no doubt, either Buxton becomes the XB monster or ... well, the alternative is hard to consider -- the wounded hero who never succeeds. As Axl Rose sang, "All we need is just a little patience..."
Yes to DFA Ehire Adrianza.No to demoting Buxton. Garver deserves a legitimate chance. Keep waiting until late May into June when the schedule allows them to feast on the AL Central. The Twins could weather the Polanco suspension because they had Eduardo Escobar. The Sano injury forcing Escobar to third has given too much playing time to some very weak bats (Adrianza, Petit). Factor in injuries to Castro (whose bat was doing pretty poorly, but maybe the injury had some effect on that?) and Buxton, and suddenly the offense is relying on guys like Wilson, LeMarre, and Grossman to pick up the slack. When your bench depth is forced into starting roles, an offensive drop off isn't all that surprising. The next move will depend on a lot on Sano and Castro's timelines. If there's still several weeks ahead of Sano - Nick Gordon should get the call. If Castro's recovery look to be a challenge, time to start shopping the trade market. I don't think that sending Buxton down will help.He's got to learn to hit MLB pitching.He has nothing left to accomplish in the minors.Calling up Gordon to play SS and living with the lumps is on the top of my list.If there's an injury to an outfielder, that's the time to call up Wade.Having him sit on the bench doesn't really help.A healthy Sano should provide a nice bump too. Hang on Sloopy, Sloopy hang on. The only thing I would do is DFA Adrianza and call up Gordon. It would have been the move to make when Sano went down, and I hope that it's what they would have done had they known Sano was going to be out for more than 10 days. Sending down Buxton will get him crushing AAA pitching, but hasn't he done that before, then came up and done nothing? Let him figure it out. The problem aren't going to be fixed by bringing up more young guys, or acquiring whatever dumpster fodder is out there right now. The issue lies with the current "veteran" players. 1). Sano is supposed to be the anchor of the lineup. He's supposed to provide run production by way of power, but he also sees a lot of pitches...which can have a ripple effect throughout the lineup as you get into bullpens earlier, etc. His presence can also provide that proverbial "protection" factor. Hes arguably the most important component of the lineup, and it's not there. 2). Morrison has been awful, and he's been sucking up a lot of ABs with runners on. He was hitting the heart of the order for a significant stretch. He's not necessarily a key cog (see second half last year without him), but he certainly could be making up for Sano's absence, but the production hasn't been there. 3). Dozier was great for a few weeks, but has kind of tapered off. We've seen it in the past, the lineup goes as Dozier goes. The consistency isn't there. He'll go on a torrid stretch and hit 6 homers in a week. Then, the other three weeks of the month he'll strike out a ton and meekly pop everything up to the left side of the infield. The production at the end of the year looks nice, but he's actually not helping you win all that many games (how beneficial is a 3 homer game and a 10-1 win one day of the week, followed by five 3-2 type losses?). Those, IMO, are the main issues. Getting some consistency out of Dozier, getting Sano healthy, and getting some semblance of production from Morrison....along with the contributions from Mauer, Escobar, Rosario, Kepler....could really light the powder keg. Also, the struggling pitching has to have an impact. When you repeatedly score runs to get a lead in the 5th-6th-7th inning, and it's repeatedly given right back by the pitching staff in the subsequent half inning, it probably takes a little wind out of your sail. → Article: What Can Be Done to Awaken Slumbering Twins Offense?